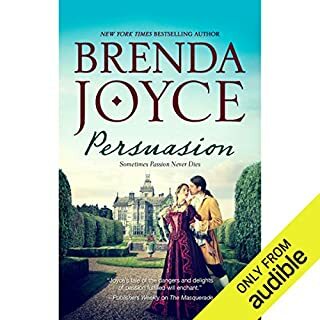 Sean O'Neil was once everything to Eleanor de Warenne - but since he disappeared from his ancestral home, there has been no word, and even Eleanor has abandoned hope, promising her hand to another. 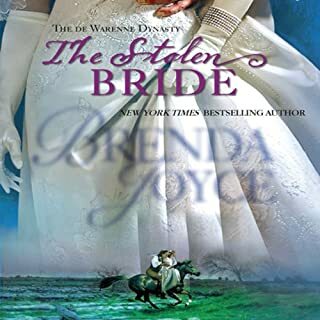 Then, just days before her wedding, Sean reappears…but the boy who was once her protector is now a stranger, hardened by prison and on the run. Weary and haunted, Sean is shocked to find that little Elle has become the beautiful, desirable Eleanor. Malcolm of Dunroch is a newly chosen Master, a novice with extraordinary and dangerous powers. But he has already broken his vows, and a young woman's death is on his hands. Malcolm is determined to fight his darkest desires, denying himself all pleasure until fate sends him another Innocent, the beautiful book-seller Claire Camden. Carolyn Browne was a poor bookseller's daughter and an enlightened thinker, delighting London with her scathingly witty columns, written under the name Charles Copperville. Penetrating the town's gilded salons in male disguise, Carolyn soon throws her barbs at the wrong man - the enigmatic Russian prince, Nicholas Sverayov. Welcome to the world of Francesca Cahill, crime-solver extraordinaire. Francesca is no ordinary heroine. She refuses to bow to convention, wears her heart on her sleeve, and is determined to right the ills and injustices of society. Deadly Love begins Francesca's mad escapades when the neighbors' little boy is kidnapped right out of his bed during a society ball. It is January 18, 1902. Francesca stumbles across the ransom note just as she meets New York City's newly appointed police commissioner. With warfare blazing through Scotland, the fate of the Comyn-MacDougall legacy depends on one woman. 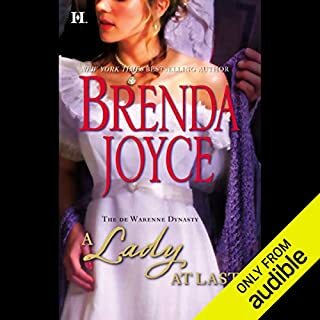 Recently orphaned, young Margaret Comyn must secure her clan's safety through an arranged marriage. But when an enemy invasion puts her at the mercy of the notorious Wolf of Lochaber, her every loyalty - and secret want - will be challenged. 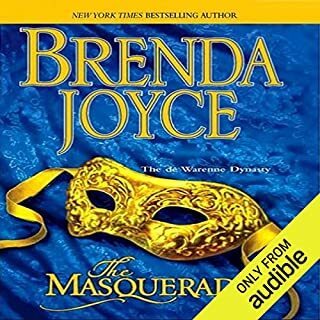 ©2004 Brenda Joyce (P)2013 Audible, Inc. The narration was good, the story line well developed and written. Just a wonderful story, the characters are complicated, wish the Shawn character would have developed more. Long, good listen. It won't disappoint and is well worth a credit. Glorifies an extremely emotionally abusive man and his codependent woman. They both could use counseling and she needs to just get out. 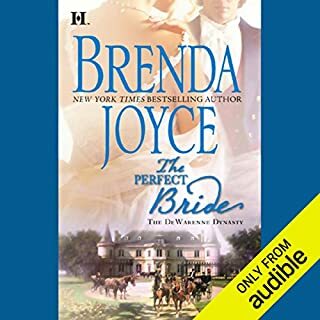 Would you try another book from Brenda Joyce and/or Christina Thurmond? I enjoy books by this author. If only these horribly forced British accents could be monitored. It's hard to listen to an American 'over-doing' the British characters. Completely spoiled the book for me......I gave up after an hour, hence the story is rated low. What didn’t you like about Christina Thurmond’s performance? The heroine is an absolute disgustingly weak moron. She makes me physically ill. I have nothing good to say. Nothing. So bad. Do not read this tripe. It is repetitive and harrowing.